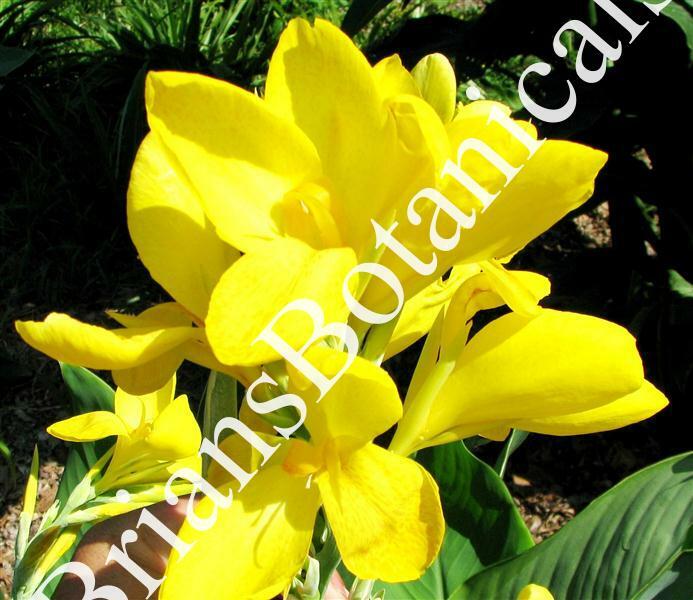 Canna ‘Lemon Punch’ PP is a new hybrid by Brian Williams of Brians Botanicals. This hybrid is a dwarf grower, 3 to 4 feet tall, with bright yellow flowers and light green leaves. Canna Lemon Punch shares bloodlines with Canna Orange Punch and has very similar growth and flowering habit. It constantly flowers during the summer months and is a self cleaning Canna, shedding the old flowers off after blooming. This is a great plant for containers, tropical gardens and mass plantings for impact displays. Considered by many to be the brightest yellow flowering Canna to date.